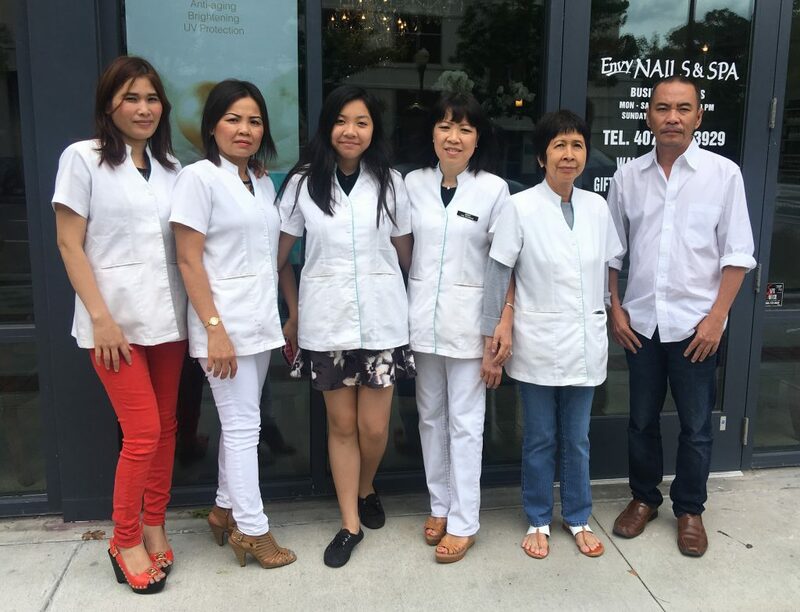 At Envy Nails and Spa, we built with a strong confidence in luxurious services and great customer satisfaction with affordable prices for women and men. We have over 20 years of experience in the industry. We are one of the National and International Award winning Nail Art Design competition. Our certified technicians are fully trained and artistically capable. We are family oriented, we love our customers and wanted to make sure everyone visited our spa enjoy the most of their time and relaxing. We serve with free drinks such as red wine and soft drinks so you can enjoy your time while our technicians take care of your spa services. We used state of the art technologies and invested our salon to meet your expectations, our technicians fully trained on sanitation, techniques, and all equipment are fully sterilized and compliant with state department health and occupational code. we still continued to learn new technique, attended trade show to provide our clients with the most up to date products available, our main goal is to be the best in our field, and we are consistently setting the highest standards in quality care services. We are here to help you experience the best nail and spa care possible. Our business depends on happy and satisfied customers and with positive feedback and “word of mouth” referrals that makes us more motivated to maintain our service standards. We would like to take this opportunity to thank you our clients and our friends for supporting us all these years.